And finally, we created a simple alignment tool to help us when we come to install the little pieces of timber for the Skylight framework module. 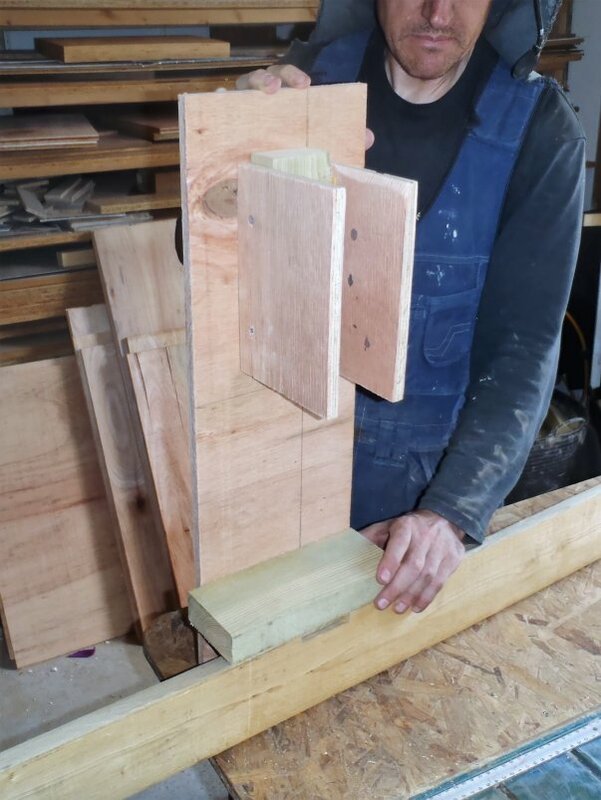 We needed something to “transfer” the position of the slots in the rafter support timber on the outside of the steel I-Beams so we can get the position of the internal little posts correct. This is important as when we put up the rafters, we want to nail the ends to a good solid post inside the Kerb going up to the Skylight. 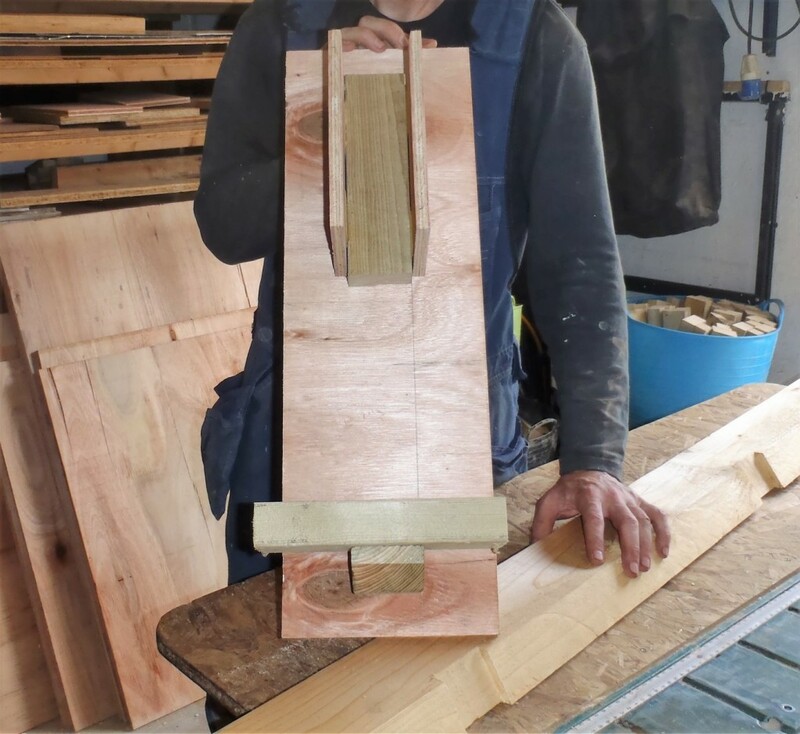 The template sits on the lower flange in the slot, and projects upwards and over to the top to where the plywood is and ready to receive the post with the glue ready to be stuck against the plywood and timber platform. Anything to make our work easier, especially that we are on top of the scaffolding tower and also on a ladder as well!! Grin! So tomorrow, we may be starting the assembling of the Skylight framework at last!